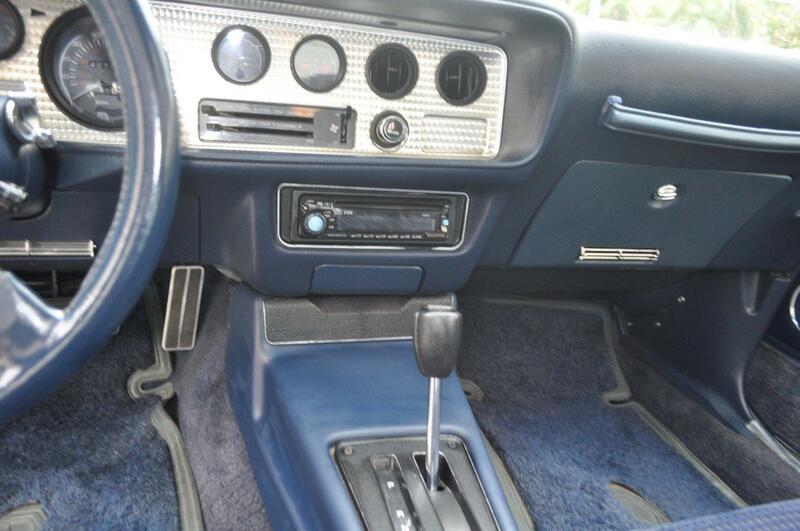 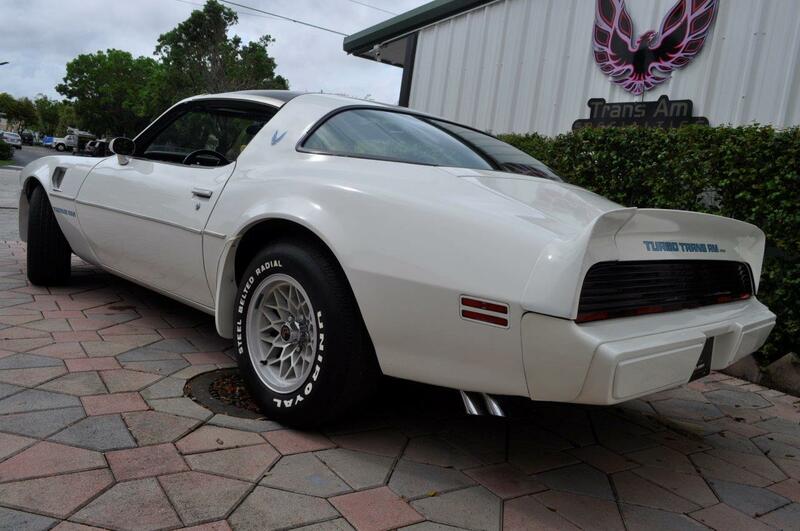 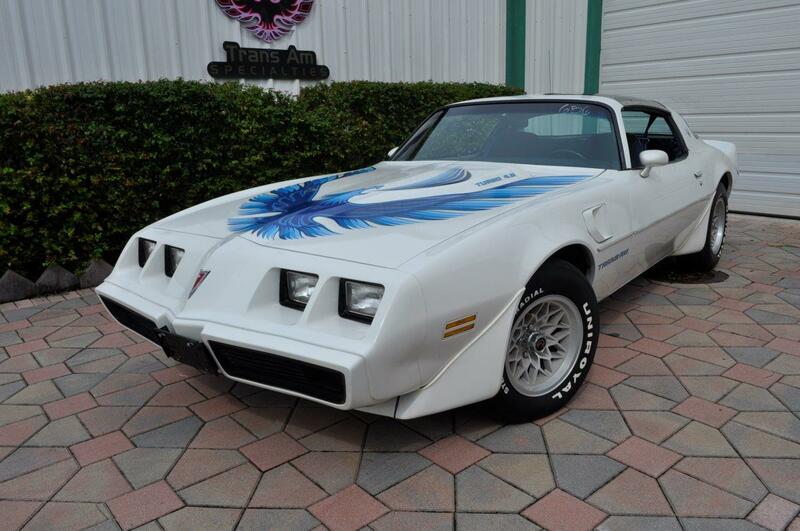 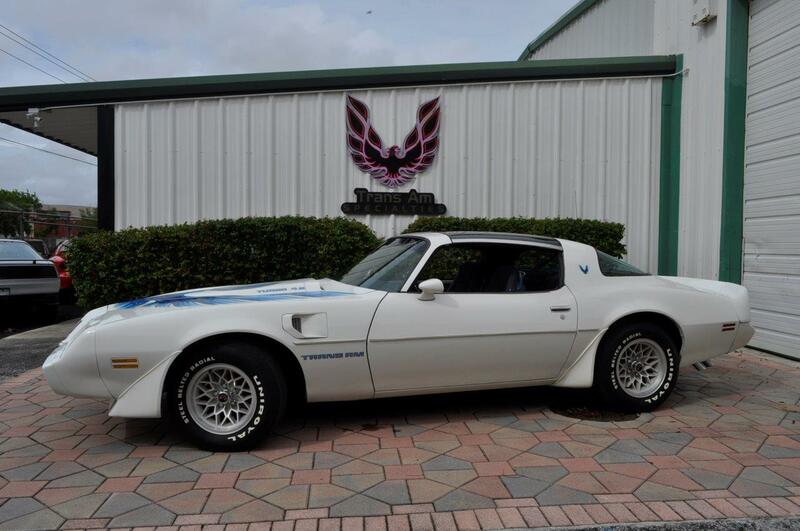 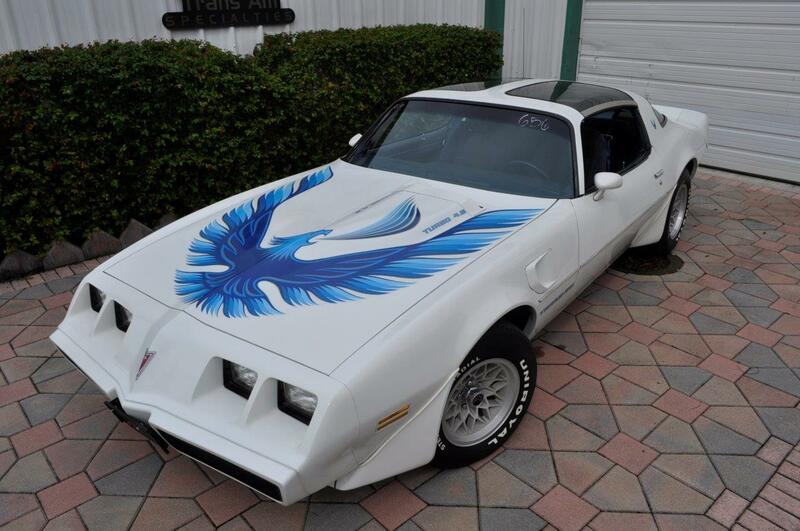 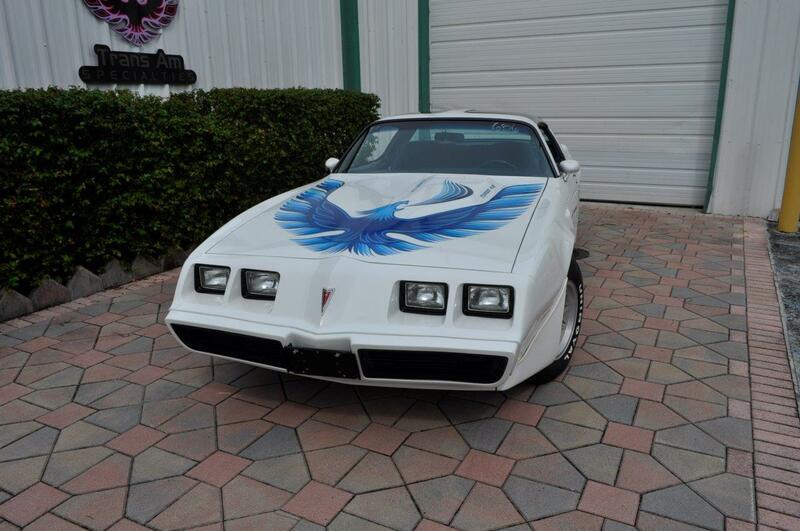 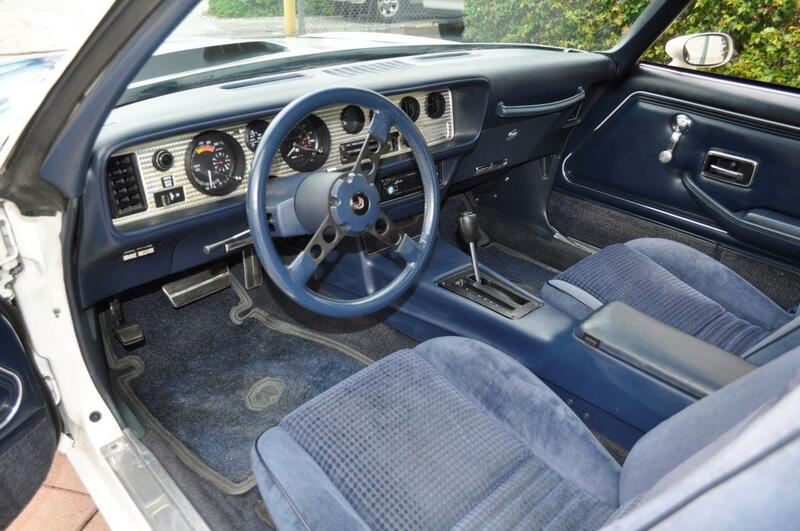 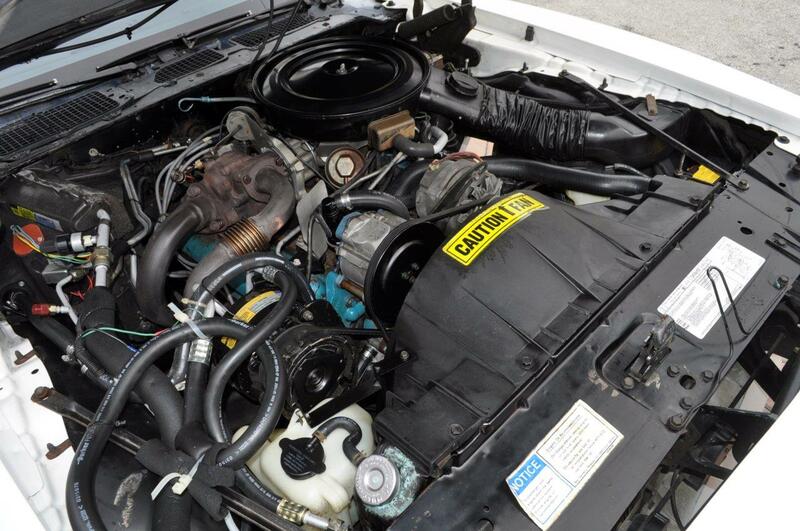 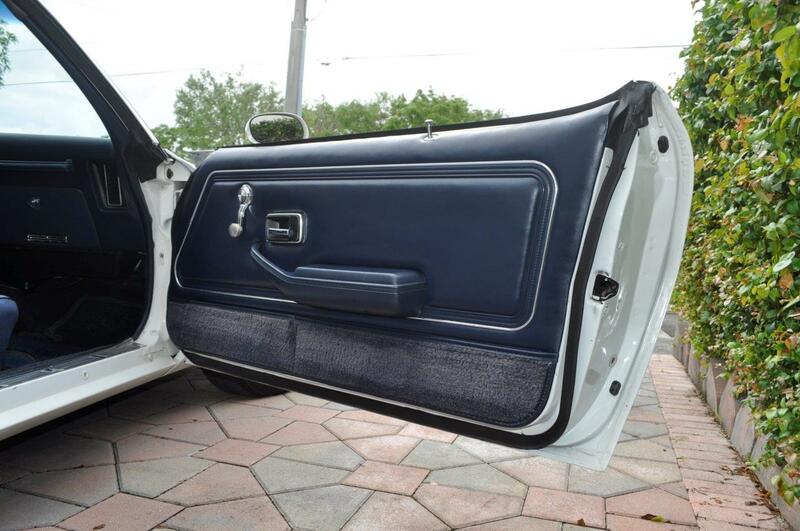 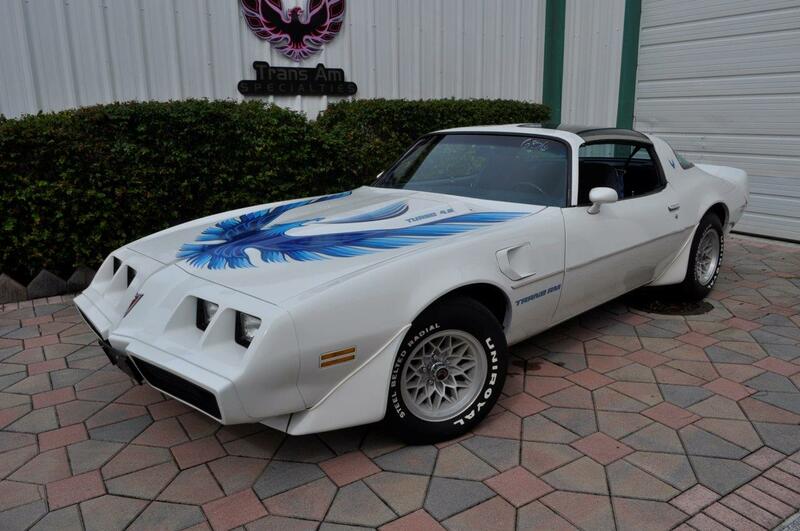 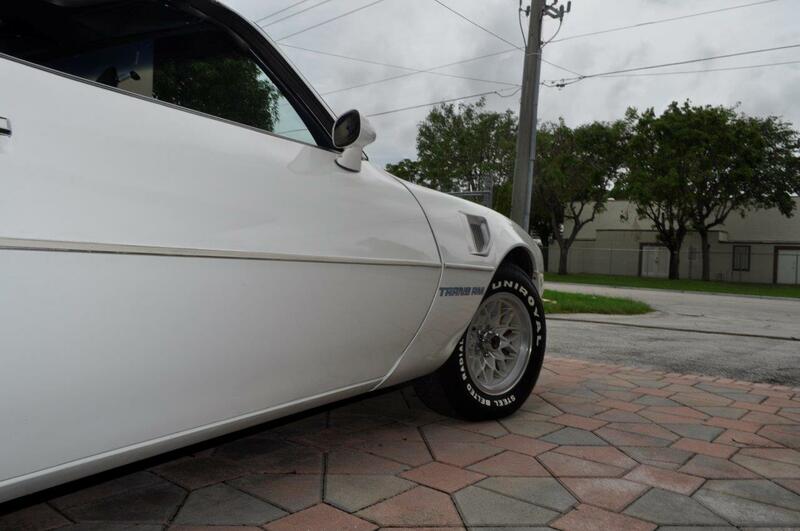 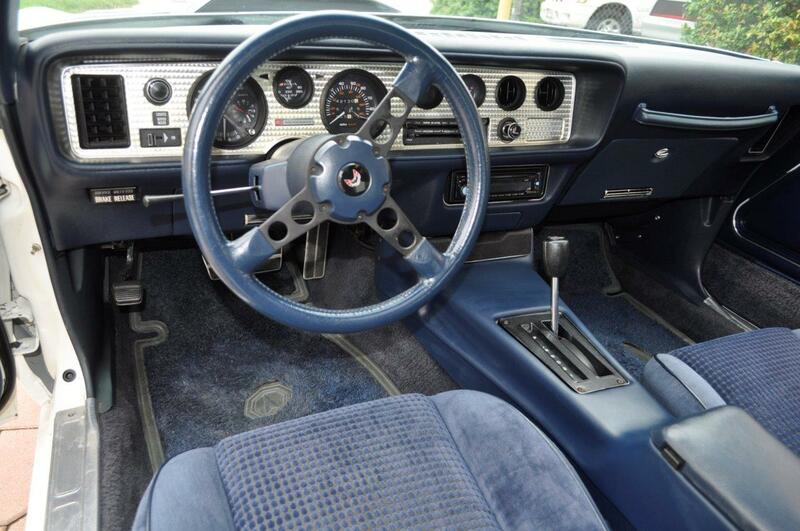 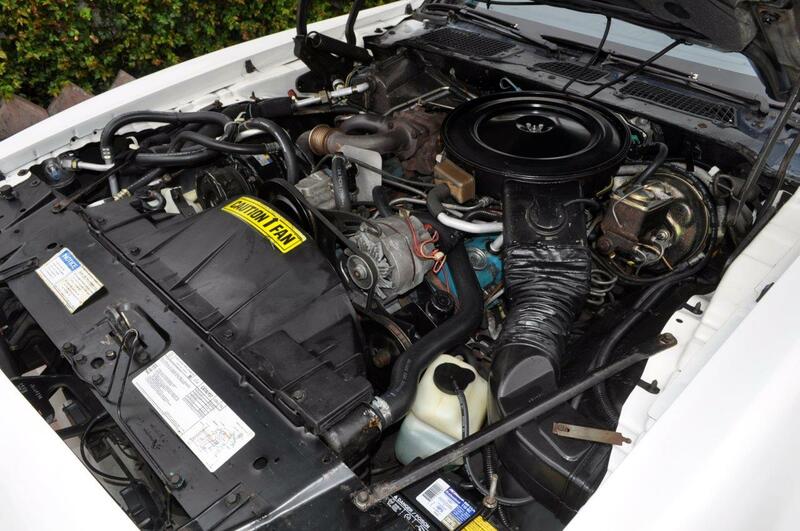 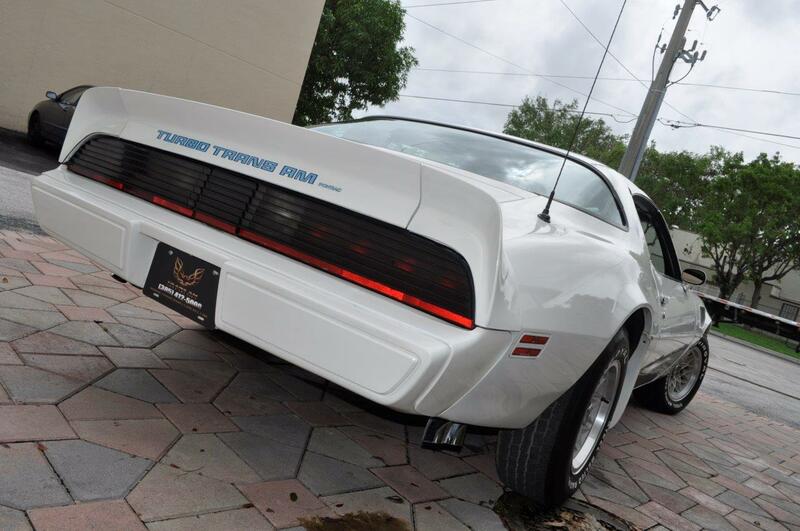 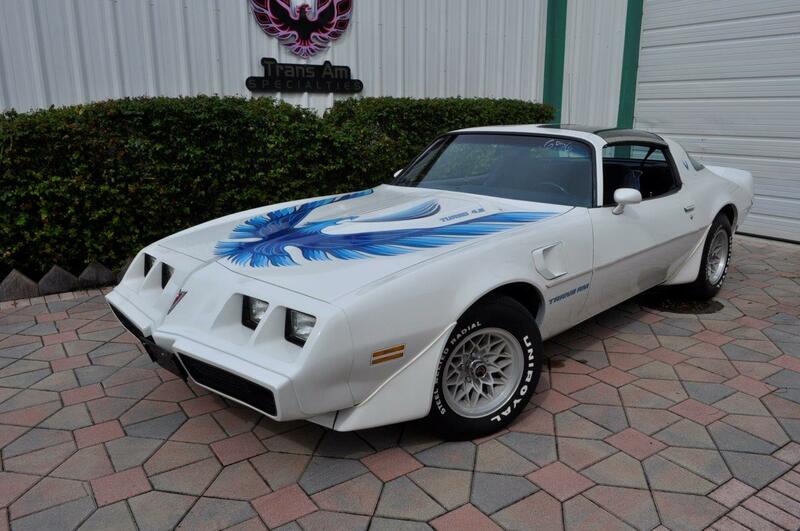 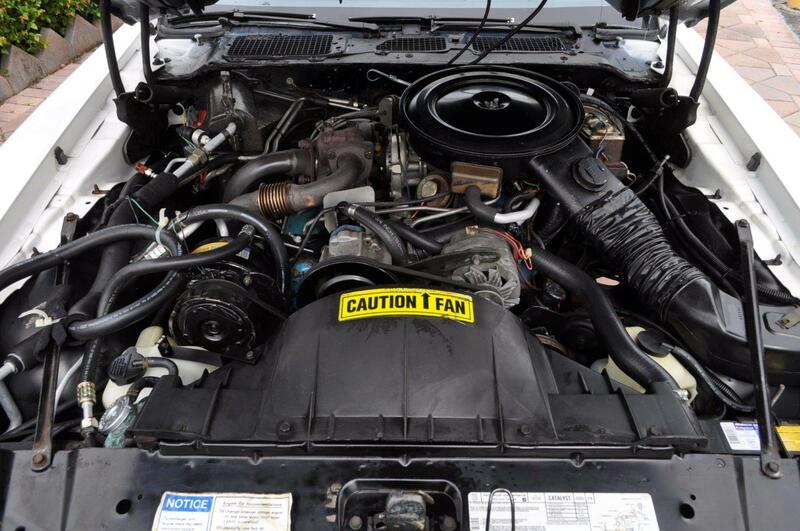 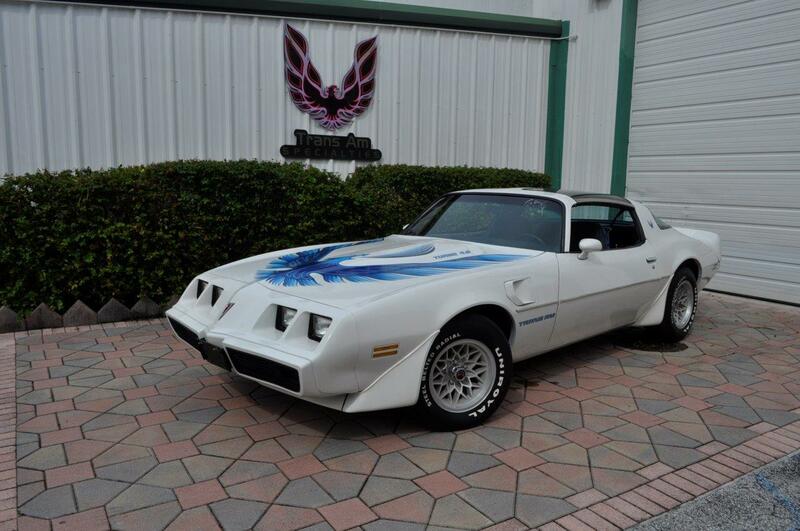 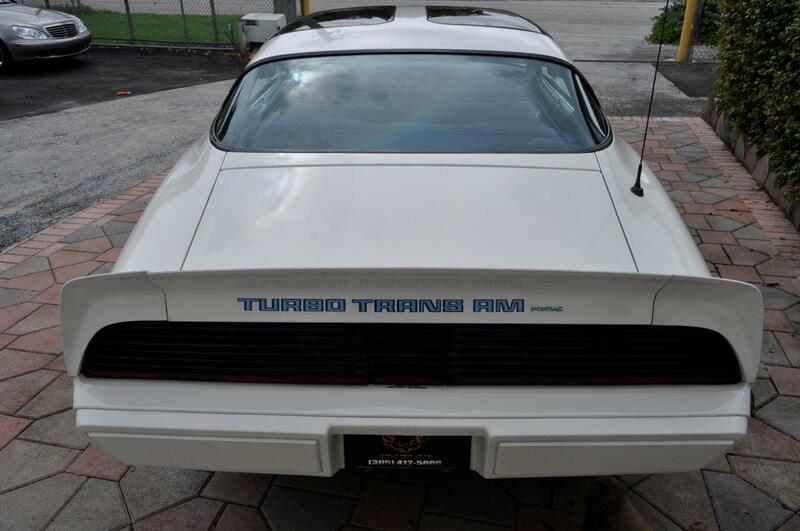 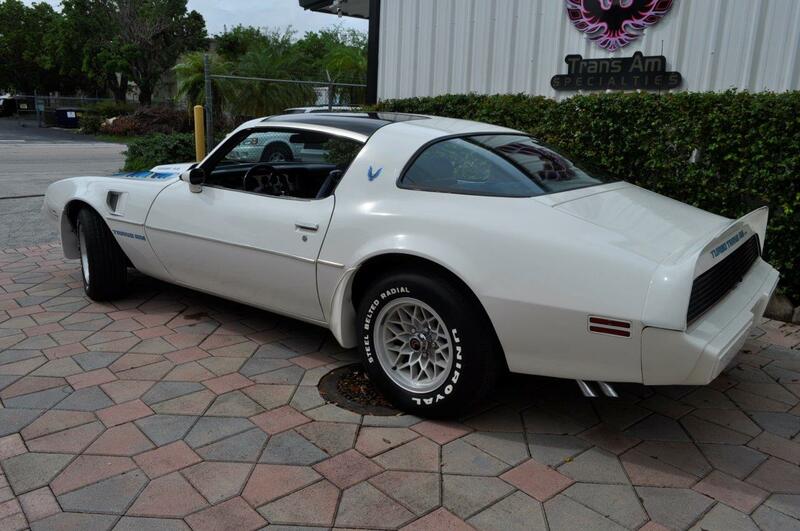 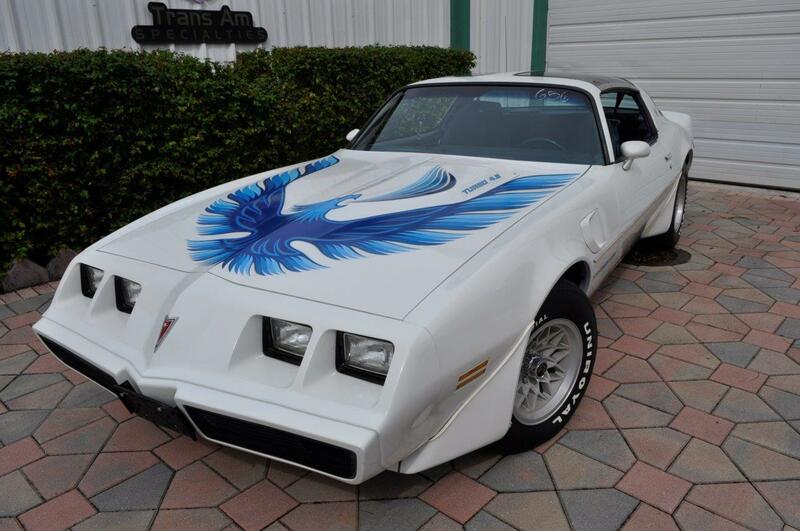 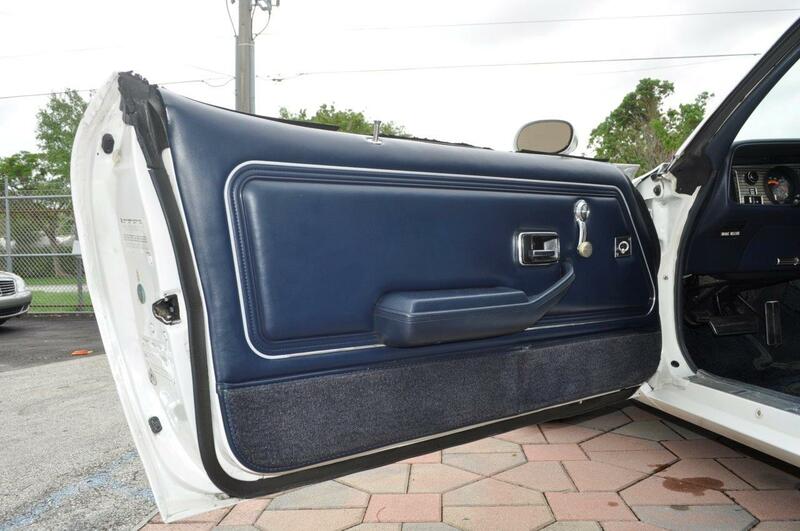 Welcome to Trans Am Specialties of Florida, just arrived a private collection this bone stock un-restored 1980 trans am , Ws6, 4.6 Liter Turbocharged with factory Polar white paint and Blue deluxe interior. 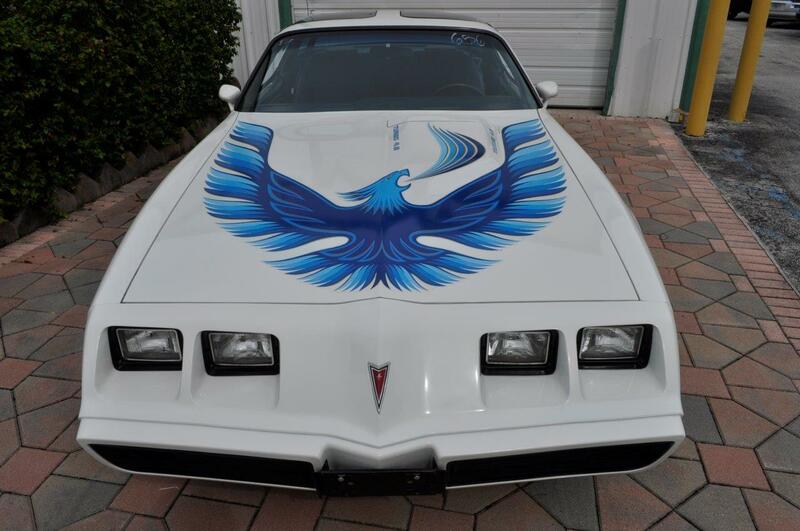 This has been carefully preserved and you would think it has been repainted, the paint and decals are original and in remarkable outstanding condition, only showing absolutely normal light checking in the hood bird and paint is incredible. 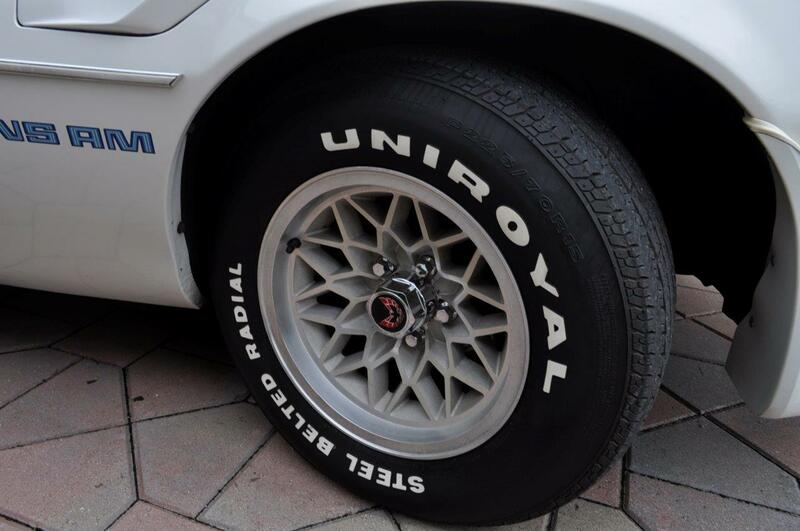 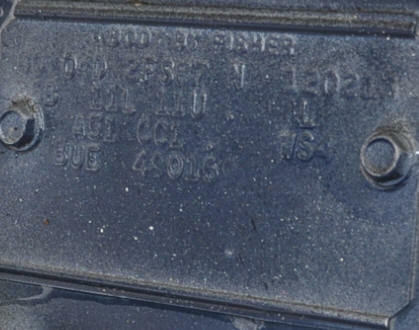 The car still wears its original 15 X great wheels and a set of vintage Uniroyals that were told are original from the 80's, is worth to mention they look like new tires. 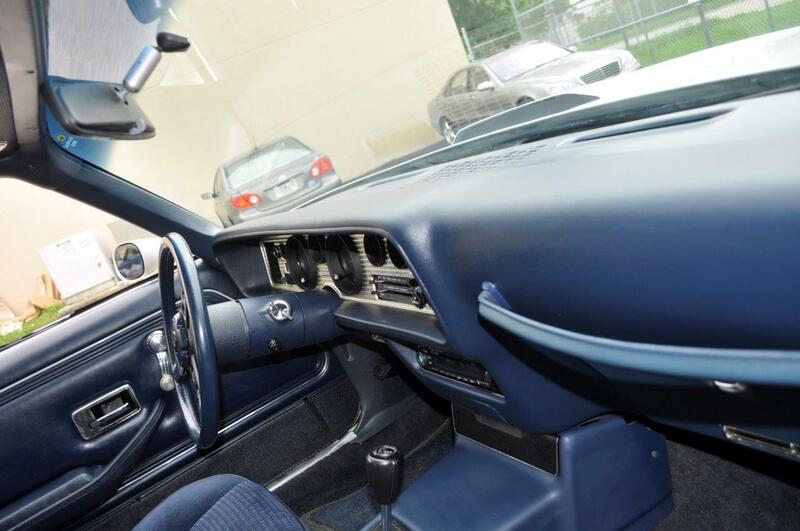 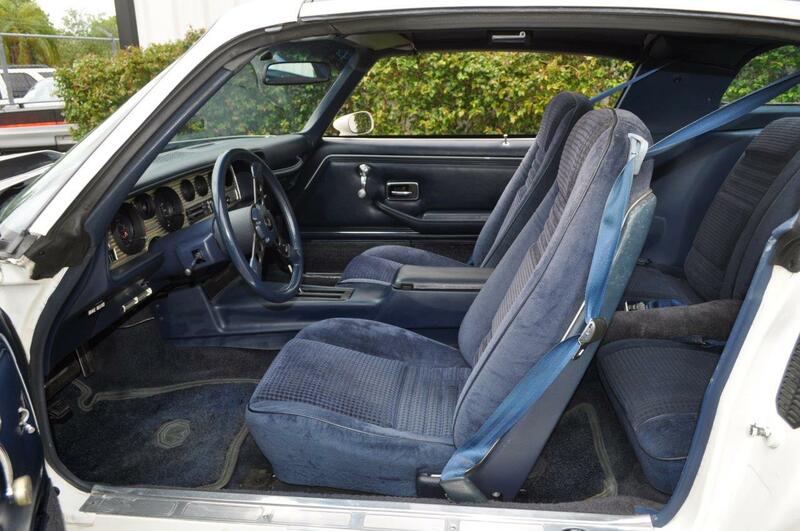 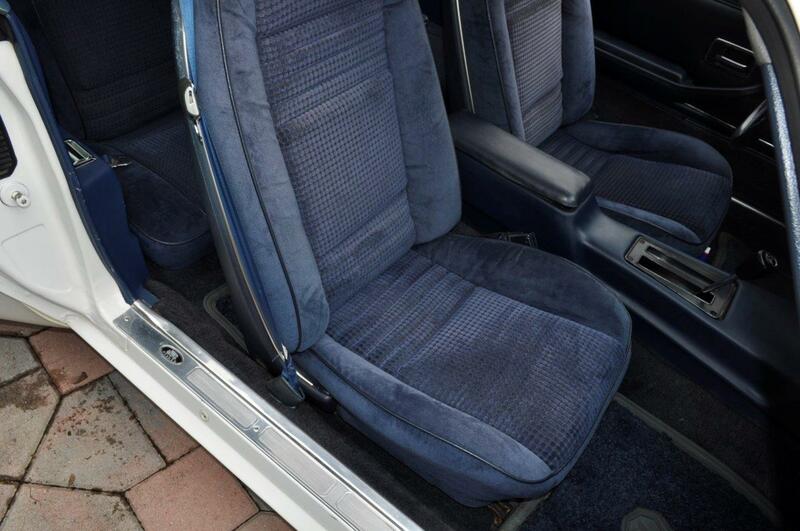 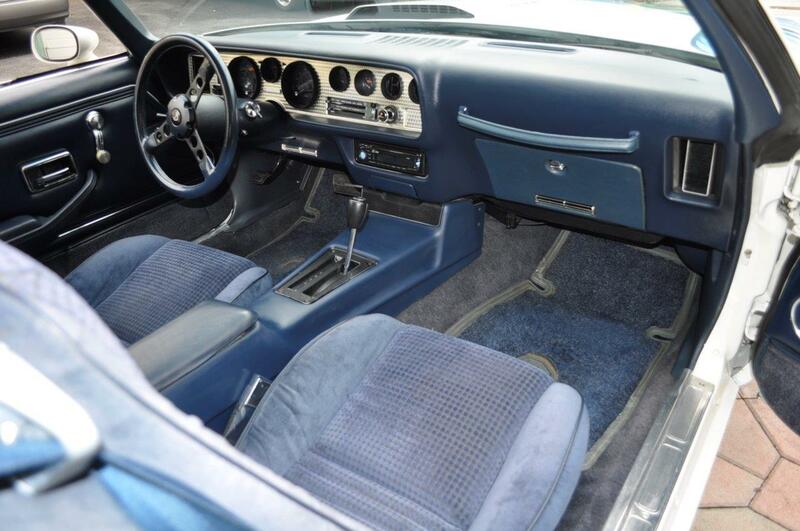 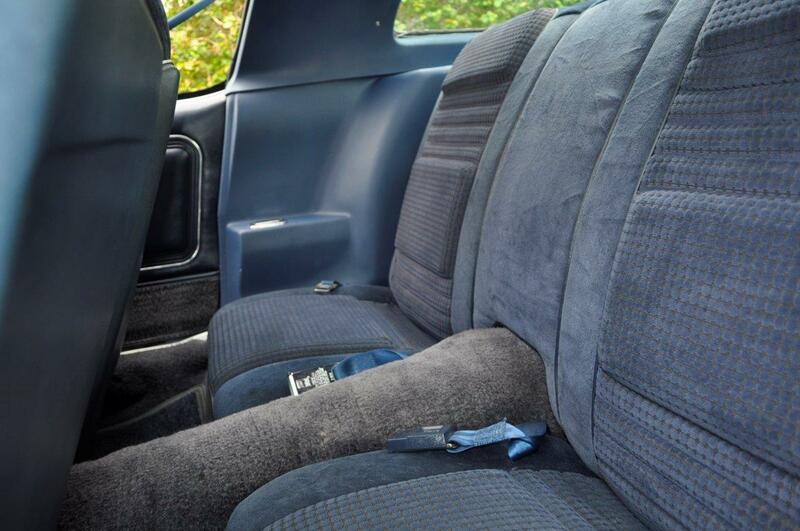 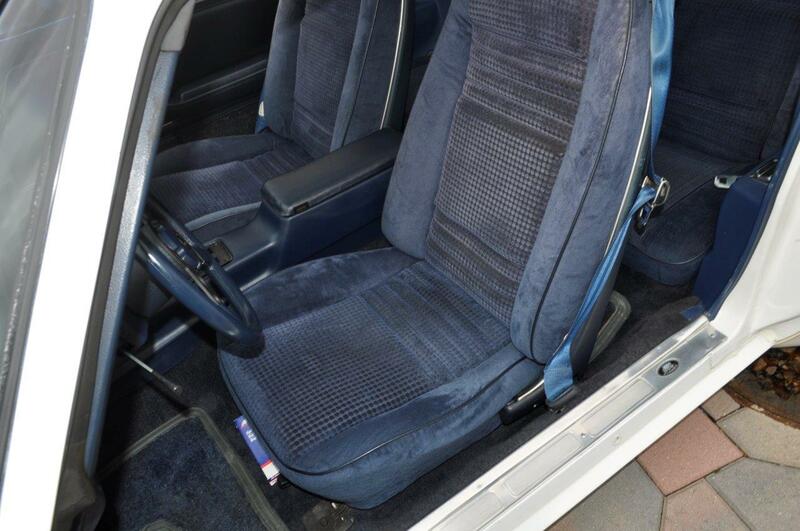 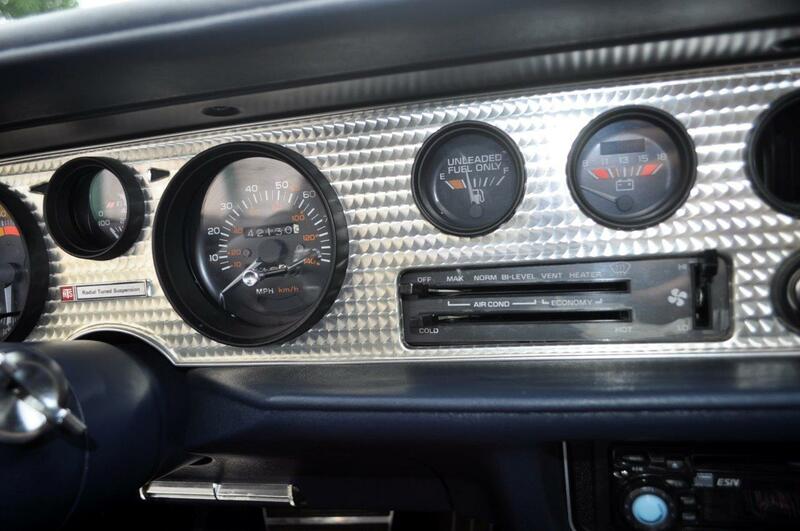 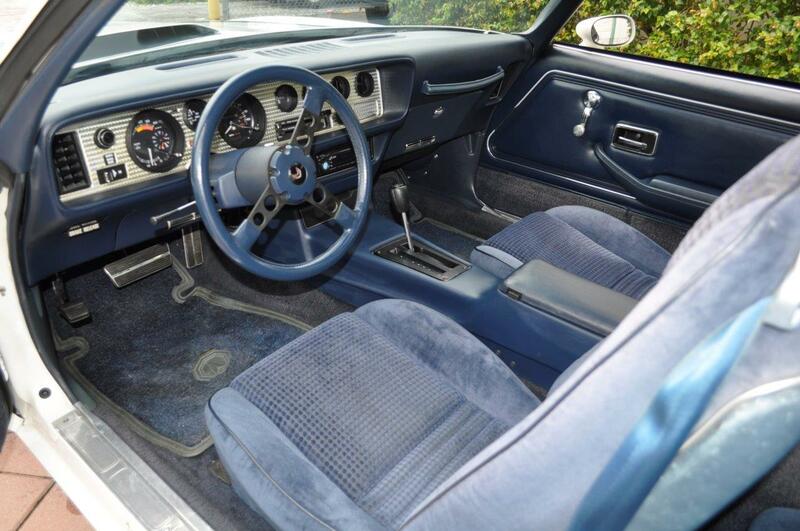 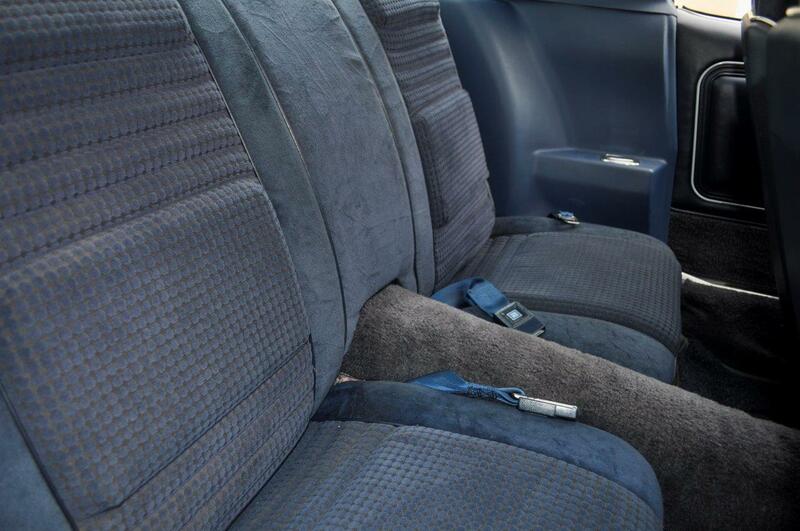 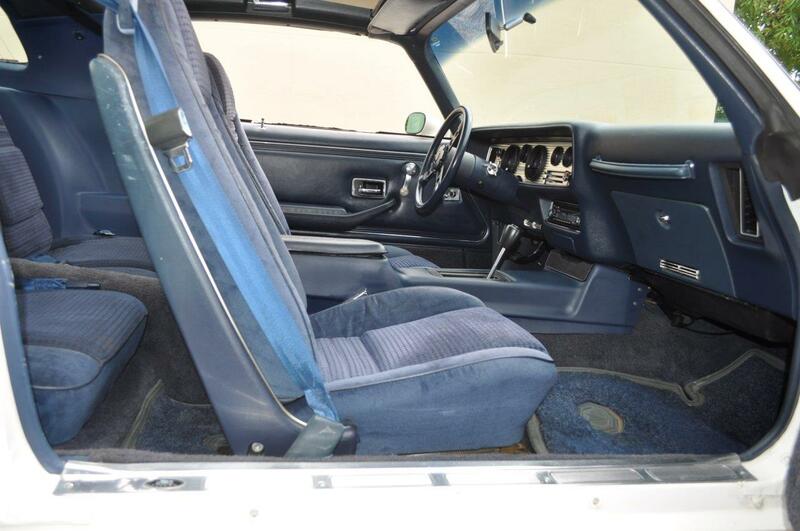 The interior is also in stunning condition showing no cracks in the dash and no fade on the upholstery, you will only see minor wear on the rear seat back panels due to seatbelt bouncing against it pretty common in this vehicles. 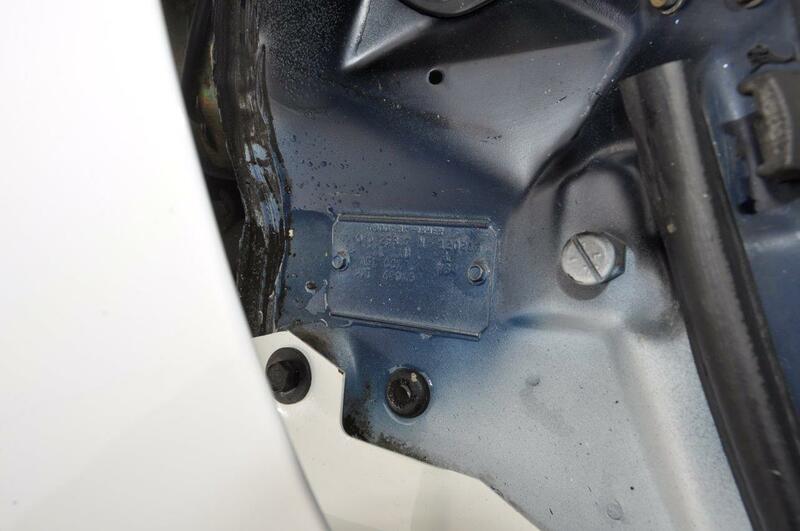 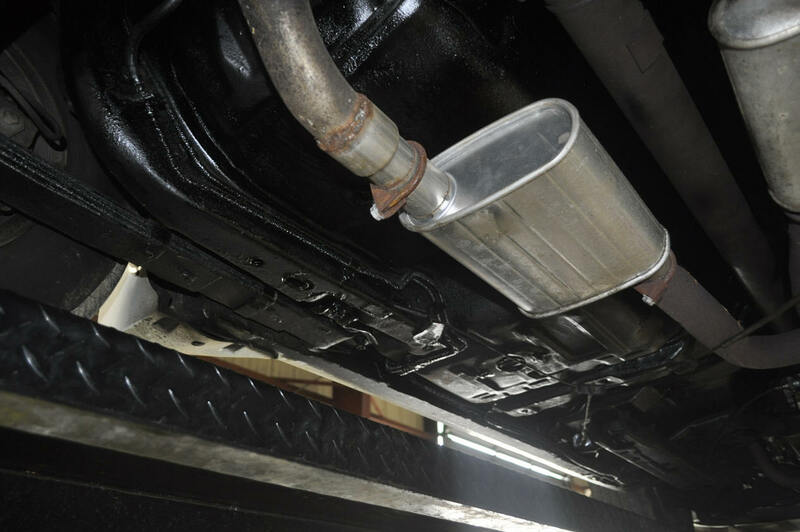 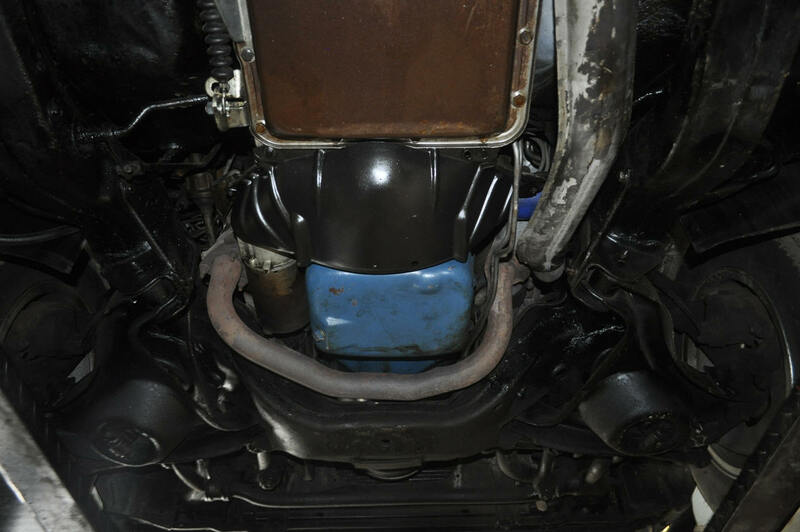 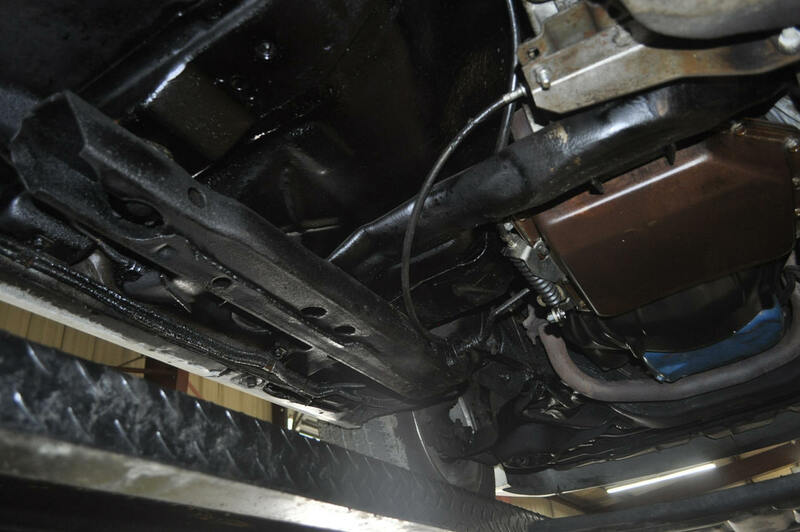 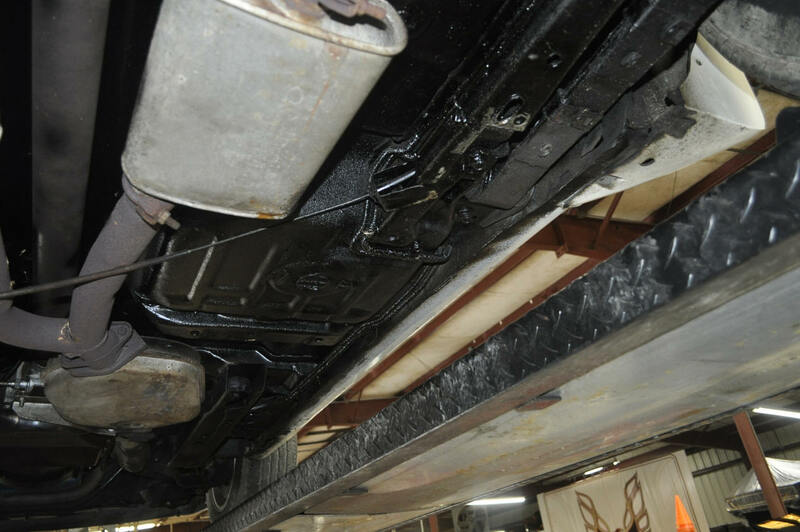 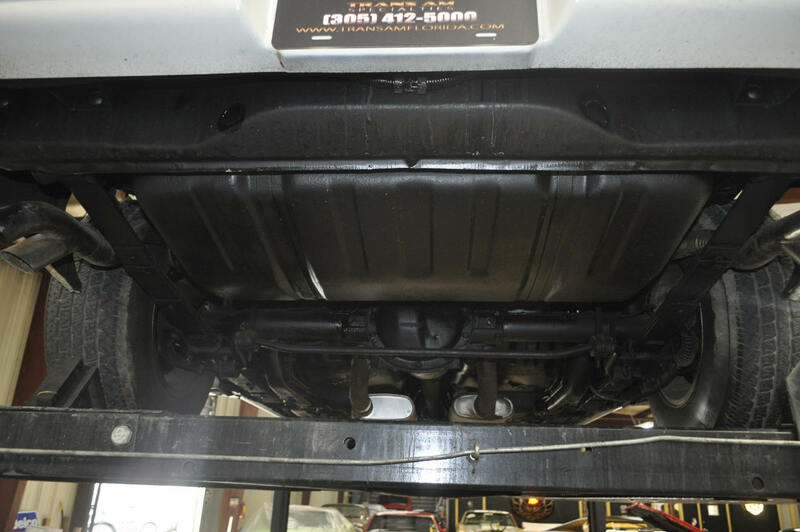 The undercarriage was ziebarted lightly when new and there is no visible rust anywhere as you will appreciate in the photos below. 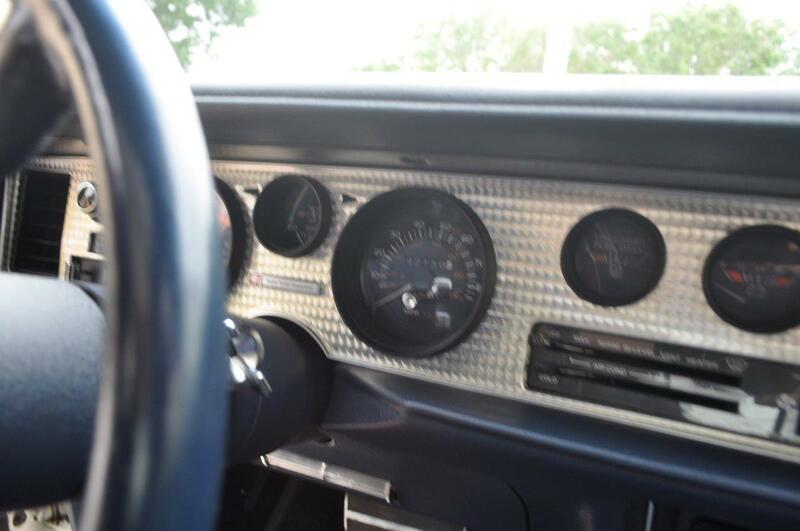 The car runs and drives great with no present issues. 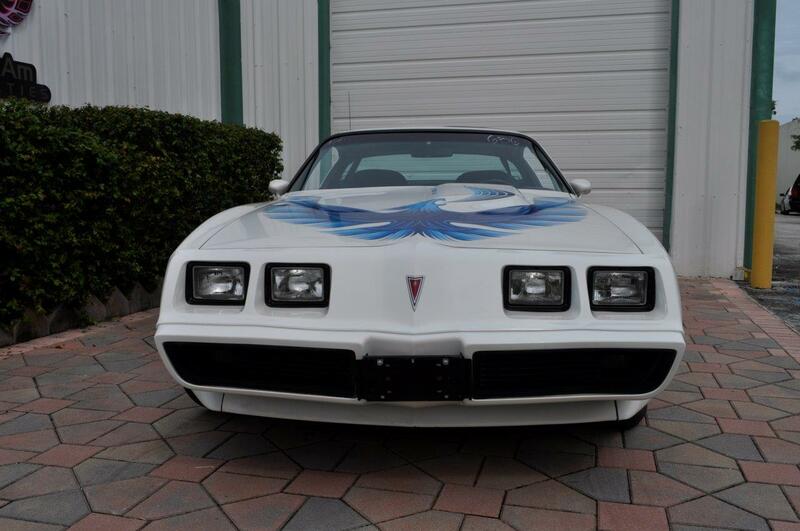 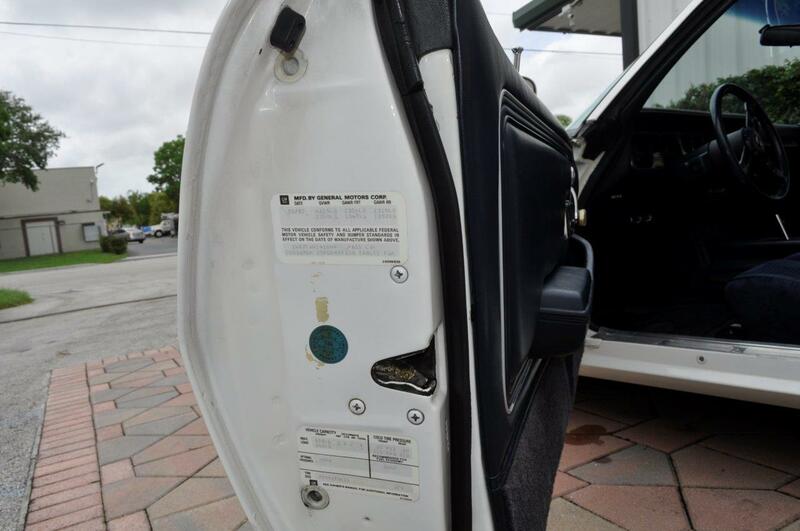 only $26,900.00 OBO call today !